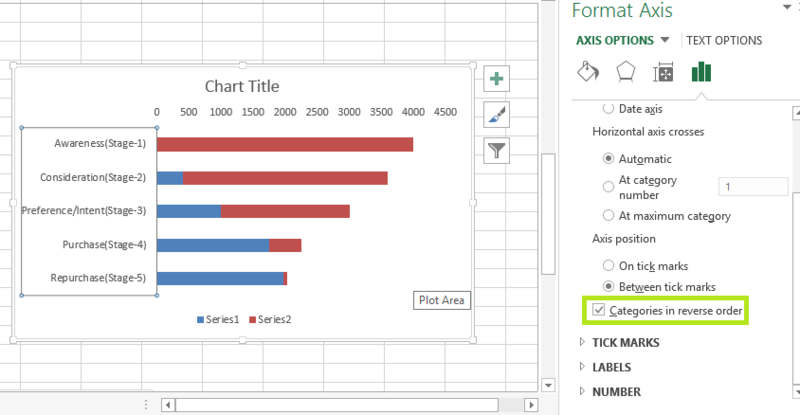 In this post we will learn how to create funnel chart in Excel. 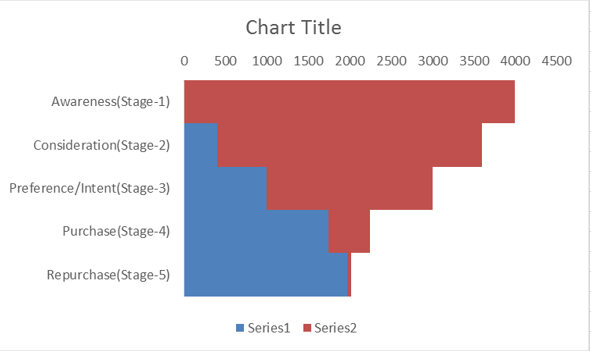 Steps to create Funnel chart in Excel: The funnel chart in excel can be created in simple steps using a stacked bar chart. 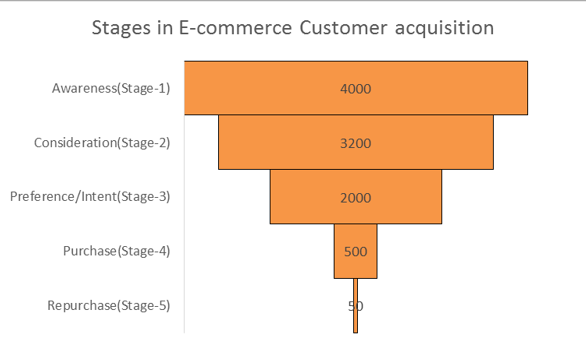 We will be using the data which depicts various stages in e-commerce and the number of customers for each stage. The data is shown below. 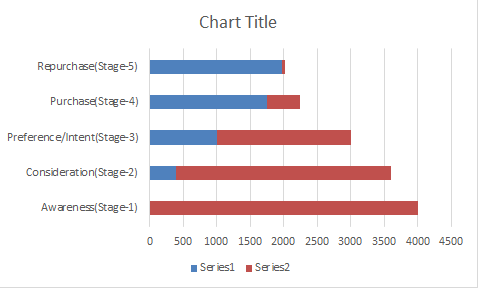 Once we have these two columns of data, then select the data and create a Stacked Bar Chart. 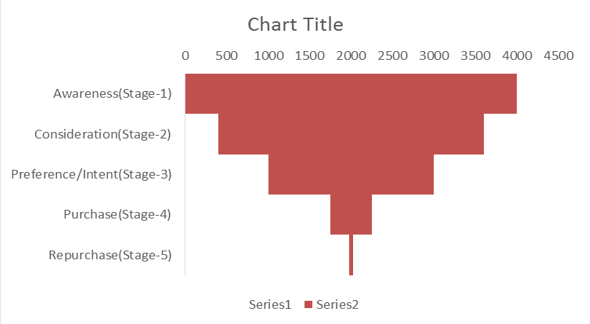 Now, right click on the vertical axis of the chart and select format axis. The categories will now be listed in the same order of the data. Now we have to remove the blue set of stacked bars to create a complete funnel chart. We will make it invisible to the reader, and only the actual funnel data will appear. 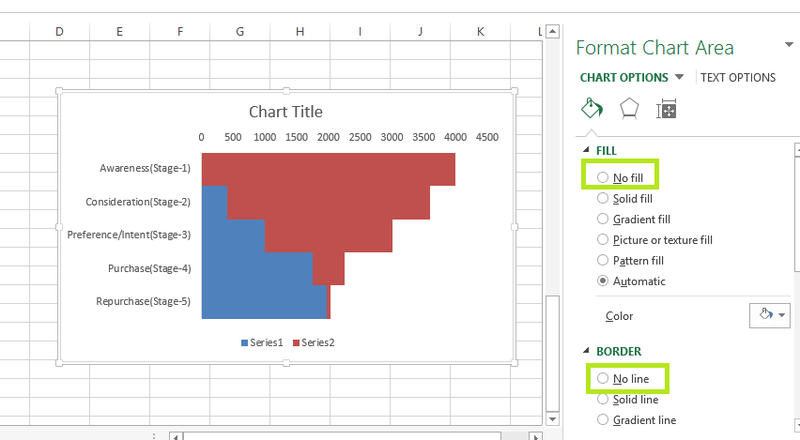 Now, right click on any of the blue bars choose “format data series” option. So the resultant chart will be a funnel chart! !